Modern and sophisticated, our Arkin runner is an easy, ideal way to update your living room or add a bit of warmth to your hallway thanks to its simple design. 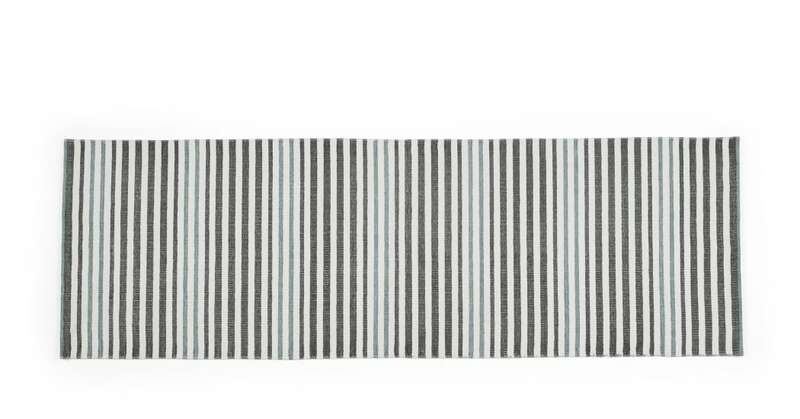 Grey and white stripes with either teal or mustard accents mean Arkin adds a bright pop of colour to add a bit of texture to your room. And why not complete the look with the other pieces from the Arkin collection?